At $100 for the mouse pad and another $100 to $150 for a compatible mouse, Logitech's Powerplay is still early-adopter tech for sure—but keeping your wireless mouse battery topped off sans wires is incredibly futuristic. I’ve been converted. I never thought I’d be a wireless-mouse fan—first because wireless performance always lagged behind that of a wired mouse, then later because I was too lazy to periodically charge the damn thing. I could see the benefits of a wireless headset and could make charging one of those part of my daily routine. But a little cord drag on a mouse seemed a small price to pay for convenience. And yet here we are. Logitech’s new Powerplay technology, centered on a mouse pad that charges your wireless mouse while you’re using it, has made me a wireless believer. Powerplay is a two-part system: the aforementioned mouse pad and then (at the moment) one of two compatible mice to go along with it. Those mice, the G703 and G903, can be used independent of the Powerplay mouse pad, as just your everyday lithium-ion powered wireless mice, complete with a cord you need to periodically plug in for recharging. Thus I might mention them offhand, but for the sake of clarity I’m going to focus primarily on the mouse pad here. Feel free to check out our full reviews of the right-handed G703 and ambidextrous G903 though. The Powerplay base is the core technology, and the part you plug into your PC. It looks quite a bit like Razer and Corsair’s recent RGB mousepads—a semi-stiff piece of plastic, measuring approximately 12x13 inches, with a thicker hub in the upper-left corner where the USB cable connects to your computer. 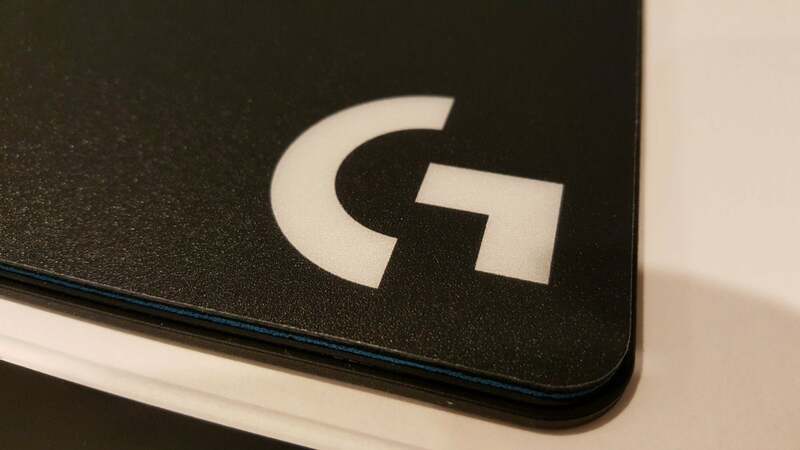 Plug it in and you might say, “That’s it?” as a single Logitech “G” logo on that hub is illuminated. It’s a far cry from the decadent rings of RGB lighting that festoon the Razer Firefly and Corsair MM800 Polaris. While RGB mousepads have always seemed like a bizarre (albeit “cool”) proposition—almost $100 for some lights, basically—Powerplay is actually functional. When you plug it in, the mouse pad generates an electromagnetic field across most of the base. This field projects a few millimeters above the pad, which is where components two and three come in—a pair of alternative surfaces, one cloth and one hard plastic, mimicking more traditional mouse pads. I’ve been using the cloth surface. Hard surfaces have less friction, which can be better for rapid movements and put less strain on your wrist, but...well, I just prefer cloth. It’s softer, it’s quieter, and it’s (marginally) more precise. It’s ultimately a matter of personal preference, and therefore smart of Logitech to include both options. Whichever you choose, you simply lay it down atop the base. The base is rubberized, so your chosen surface shouldn’t slip around—I’ve tried, and at least with the cloth, it’s pretty much impossible under normal conditions. The last piece of the puzzle then is the “Powercore Module,” or the bit that actually transfers the charge from the mousepad to the mouse. This is a slick bit of engineering, as I’ve come to expect from Logitech lately. 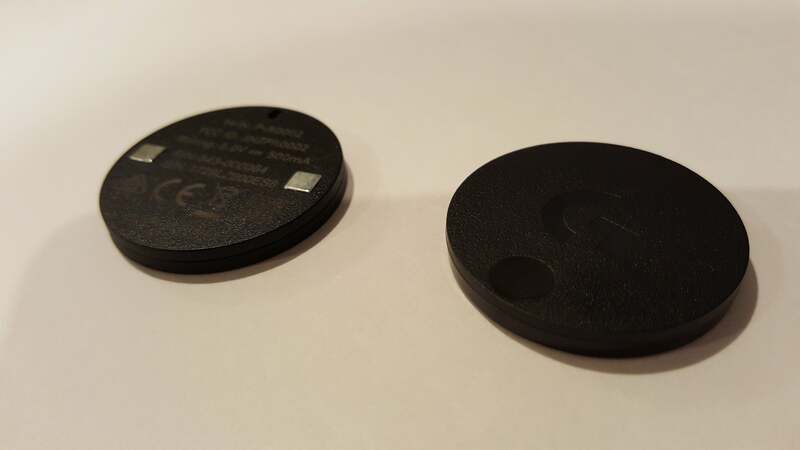 Both the G703 and G903 ship with a little plastic disc magnetically attached to the underside. Sans-Powerplay, this plastic disc can either be left in place or, if you prefer a heavier mouse, swapped out for a similar disc with an embedded 10-gram weight. Powerplay simply fills this same hole with the aforementioned Powercore, another bit of plastic with a pair of visible metal contacts. 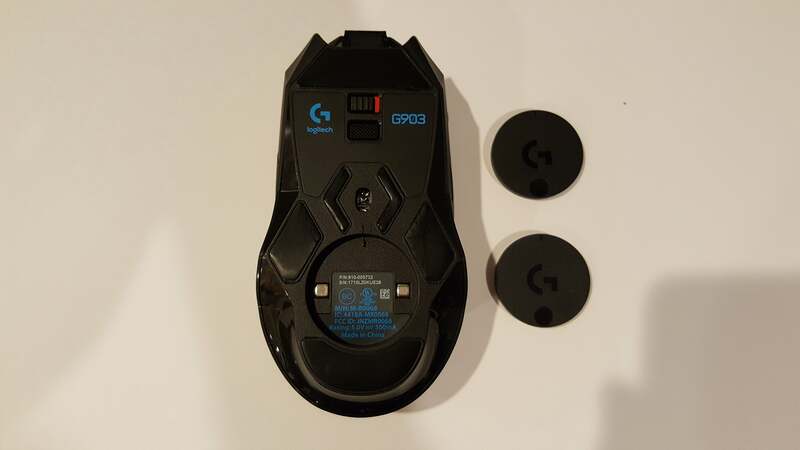 Remove the stock plastic bit, slap the magnetic Powercore in, and voila—you have a Powerplay-ready G703 or G903. If you have both mice on hand for some reason, changing between the two is as easy as pulling the Powercore out and transferring it to the other mouse, then using Logitech’s software to pair the preferred device. Once the base is plugged in, your chosen mouse pad surface is applied, and Powercore is inserted, that’s it. You’re ready to go. The wireless receiver for the G703 or G903 is embedded in the Powerplay base, so there’s no need for a second dongle. You don’t even need to pair the mouse manually the first time—whichever one you power on and set on the mouse pad, works. And it really works. I’ve been using Powerplay for almost a month now. When my review kit showed up, the G903 had around a 20 percent charge. It hasn’t died on me since, nor have I ever plugged it in. Logitech claims you’ll get 1 or 2 percent charge per hour when the mouse is in use, or a full charge in 12 or so hours if the mouse is idle. Those figures obviously pale in comparison to cable charging—you can get a full G903 charge in as little as two or three hours if plugged in. Nope. As advertised, the G903 has cycled between 80 and 95 percent battery, discharging and recharging to keep the battery healthy but otherwise staying “fully charged.” After about a week you stop thinking about it. And it’s made me a believer. “It’s not a big deal to plug in a mouse every night to charge,” you might say, and you’re right! It isn’t a big deal. Not really. The convenience of never having to think about it though? I can’t overstate it. Previously, a wireless mouse was a cool product that I found myself intermittently annoyed by. With Powerplay, a wireless mouse is just a wired mouse without the wire. No trade-off, no compromises. It helps that Logitech’s wireless mice are damn good, too. They wake and are ready to go within milliseconds of being shaken, and I’ve never noticed a single stutter or even a hint of interference (in my signal-noisy city apartment). Like many gamers I’m traditionally skeptical of wireless mice, but Logitech’s shaken me of those concerns. The only caveat is that Powerplay is expensive. The Powerplay base is $100 with the included mouse pad surfaces and the Powercore. 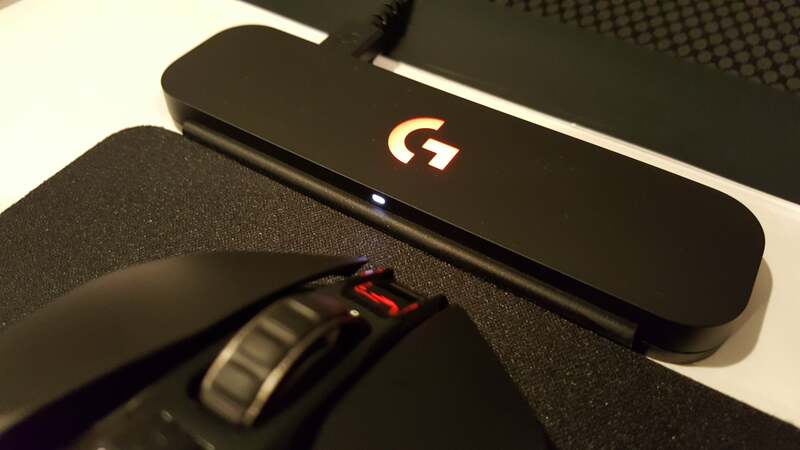 As if that wasn’t bad enough, the G703 will run you another $100; the G903 an eye-watering $150. That means you’re looking at $200 to $250 for the convenience of not having to plug in your mouse at night. There’s also that whole “proprietary technology” thing. Consumers are increasingly getting locked in to their brand choices. 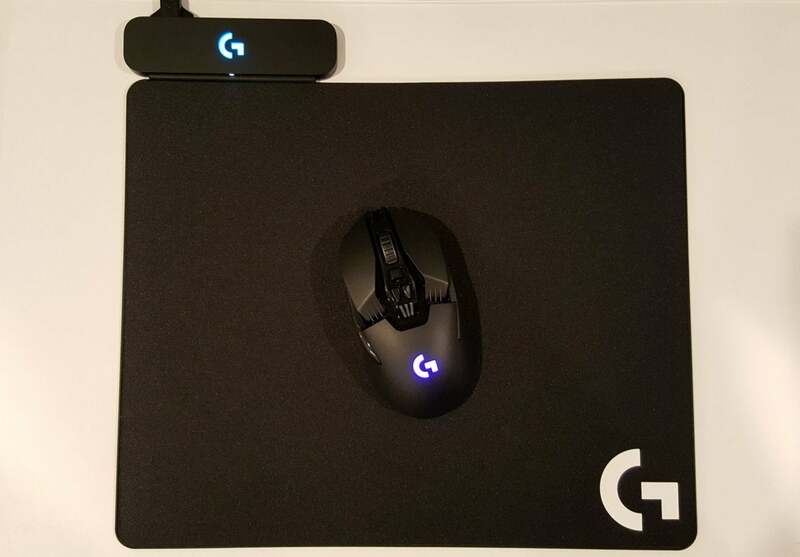 First it was incompatible RGB lighting APIs pushing people to buy a matching suite of peripherals, now it’s a mouse pad that only works with certain mice. I’m not looking forward to another fractured peripherals landscape as each manufacturer rolls out a version of Powerplay in the next few years—Corsair’s is already announced, and while it uses the open Qi standard, it won’t be compatible with Logitech’s tech. So once you buy Powerplay, you’d better hope you want to use Logitech mice for the rest of your life (and that the tech keeps being supported), otherwise you’re looking at a useless hunk of plastic. Heck, I’ve used a Logitech mouse day-to-day for going on three years and I’m still feeling let down. There’s no Powerplay-ready version of the G502 yet, and while the G903 is an excellent mouse it isn’t quite as comfortable. Expensive. Proprietary. Limited choices. These are all real hurdles for Logitech to overcome. That being said, Powerplay is one of the most forward-thinking technologies I’ve seen in years. Logitech’s been pushing wireless hard for a while now, with better batteries, better sensors, better response times, and so on. Powerplay feels like the last piece of the puzzle, the tipping point where wireless truly starts to replace wired. Five years ago, I would’ve sworn wired would always beat wireless. Nowadays I’m not so sure. Give it 10 or 15 years and a couple of price drops and the wired mouse might be as antiquated as the wired gamepad. Never underestimate convenience. At $100 for the mousepad and another $100 to $150 for a compatible mouse, Logitech's Powerplay is still early-adopter tech for sure—but keeping your wireless mouse battery topped off sans wires is futuristic.